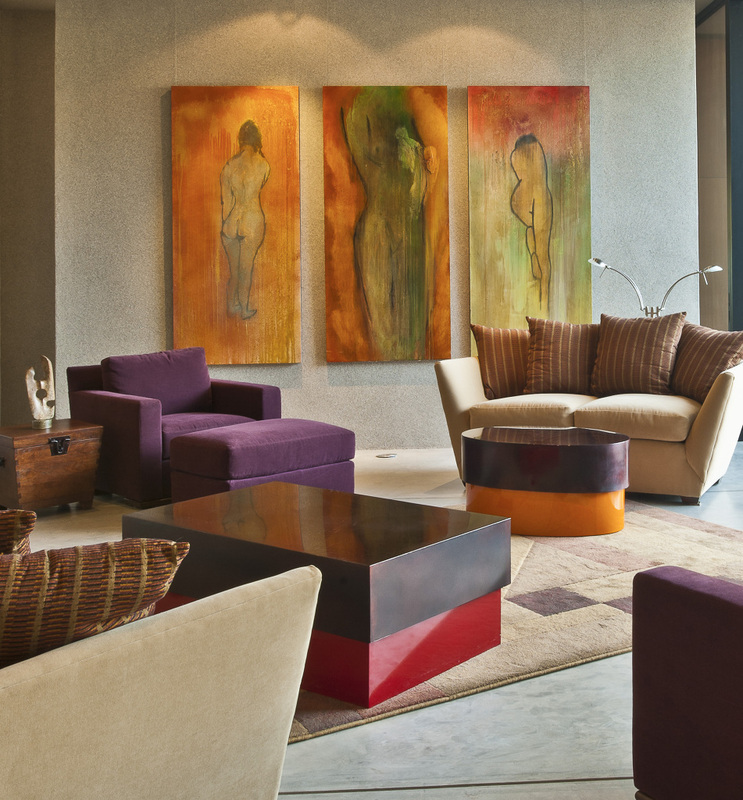 An extremely contemporary Rick Joy home, the interior of which was designed with very forward colors, a limited number of furniture pieces to keep the negative space that the architecture demanded. The living room was designed with one of a kind bold painted tables with old copper tops to play off of the colorful triptych on the wall. The guest casita has a custom designed sculpted steel bed in pewter finish which moves together to form a king size bed and apart for two twin beds.